If there was a poll for the most popular makeup product, mascara would most likely top the list every time. It is an essential part of looks ranging from natural to glamorous to gothic, and everything in between. While there are many reasons people wear it on a daily basis, there are potential drawbacks to consider as well. This beauty product has a long history, dating back to the ancient Egyptian era. While it originally looked like a pressed cake, mascara is now sold in a lotion formula, with an applicator wand inside a resealable tube. The reason for its enduring popularity? Mascara has a number of beauty benefits. It instantly adds thickness, length, and a darker color to the lashes, which draws attention to the eyes and creates definition. Though there are many positive attributes, there are also short-term and long-term issues that may present themselves. Infections Caused by Old Mascara. Even the most expensive products on the market have an expiration date. Unfortunately, a lot of people continue to use them long after they have expired. According to a Woman's Health article on germs in makeup, a whopping 86 percent of women used mascara for longer than the recommended three-month period. This can lead to issues like pink eye, staph infections, and inflammatory conditions. To avoid these types of infections, pay attention to when you start using your mascara, and toss it accordingly. Stiff Lashes and Scratches. 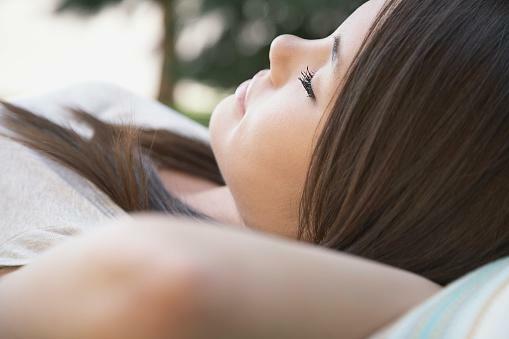 You have probably heard it a million times before: Take your makeup off before bed. While it may not seem important to remove mascara before going to sleep, it is essential. A StyleCaster article about mascara facts found that leaving it on overnight can cause your lashes to become stiff. This is a problem as it can lead to lash fall out and in some cases, scratched corneas. Leave makeup wipes on your bedside table to make sure you always go barefaced before sleep. Dryness From Waterproof Mascara. Few things provide as much peace of mind as waterproof makeup. These products are specifically designed to stay put when they get wet or when you sweat. This makes them ideal for the warm summer months or when the weather is extreme. While this can be great on certain days, it should not be worn on a regular basis. BeautyBets stated that the agents used to make a product waterproof are drying. That often leads to issues like fall out, breakage, or other concerns. Loss of Lashes Due to Extended Use. 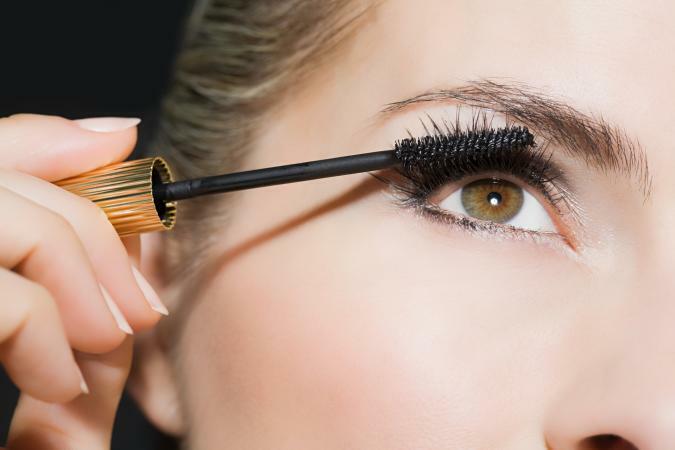 Most people apply mascara to thicken the lashes and make them appear fuller. However, using it for an extended period may actually result in eyelashes falling out. A study published by the International Journey of Trichology found that eyelash loss took place in 19 percent of subjects, with longer use resulting in an increased risk of lash loss. Due to the findings, researchers believe there is a strong connection between long-term use and lash fall out. Brittle Lashes Caused by Lash Curlers. Unfortunately, breakage and lash damage is a reality for many longtime mascara wearers. 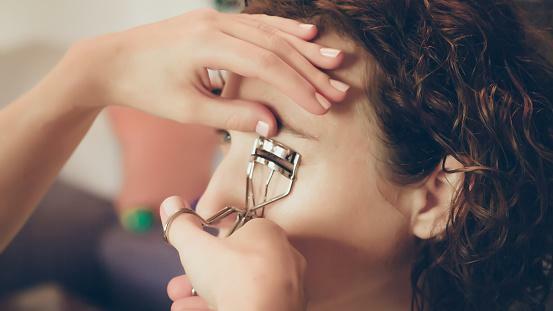 This is a common problem if you use an eyelash curler regularly. A LiveStrong article on brittle eyelashes stated that people who curl their lashes once or more a day are more prone to lash loss or a brittle texture. Additionally, an Alexie post about mascara damage found that daily use can also cause the lashes to become brittle - making them more likely to break. Remember: eyelashes need time away from tools and products to remain healthy. Premature Signs of Aging From Improper Removal. No one wants to look older than they really are. However, the reality is that many women are causing wrinkles and sagging skin by improperly taking off their mascara and eye makeup. A Good Housekeeping article on bad habits listed aggressive makeup removal as a serious concern. If you pull, tug, or rub your skin too hard, this can cause the sensitive skin around your eyes to look older - as well as create puffiness and break blood vessels. So, when removing the last remains of your mascara, always be gentle. In the early days of mascara, the ingredient list was less than desirable. Many formulas contained dangerous items like turpentine, lead-containing kohl, and aniline, which according to WebMD, could actually result in blindness. These days, they typically contain a carbon black pigment, a polymer, preservative, and thickening wax. Propylene Glycol. Something to watch out for are petroleum-based formulas, like Propylene Glycol. This can trigger an allergic reaction and actually slow down the growth of your eyelashes. Look for hypoallergenic labels or mascaras with lash conditioners to avoid these adverse reactions. Retinyl Acetate. This next ingredient, also known as Vitamin A Acetate, can be dangerous. It causes biochemical and cellular level changes that is linked to serious issues like gene mutation, and according to Fox News, cancer and reproductive toxicity. According to a Medical Daily article, this is prohibited in Canadian cosmetics, but is only restricted in the United States. Parabens. These are often used in mascaras to prevent bacteria from forming. This is a great thing - but the additive can be dangerous. High concentrations of parabens have been linked to breast cancer tumors. While more research must be done to fully understand this link, it may be a good idea to look for paraben-free mascaras, like the Physician's Formula Organic Wear 100 percent Natural Origin Mascara (about $10). Aluminum Powder. Used to add color to mascara, this ingredient has been found to interfere with processes in the nervous system and has even been linked to Alzheimer's disease. It has also been listed as a high concern by the Environmental Working Group (EWG) and their Skin Deep Cosmetics Database. If you are concerned about the inclusion of these ingredients, do your research beforehand. Look online for full ingredient lists, read reviews, or choose a natural product instead. There are many natural and organic mascaras, which are made without the use of artificial chemicals. Carefully take your makeup off at the end of each day. Sleeping with makeup can cause a number of potential issues, such as eye irritation, infection, wrinkles, and breakouts. It is possible to remove products without causing unnecessary damage. The YouTube tutorial on makeup removal below is a great example of proper technique. Keep your lashes moisturized to prevent dryness or unwanted breakage. To care for your eyelashes, moisturize them with Vaseline (being careful not to get any in your actual eyes), olive oil, or a facial moisturizer to keep them healthy and hydrated. Avoid curling your eyelashes after mascara application. The easiest way to wind up with broken or stubby looking lashes is to use an eyelash curler after you have already applied a product. This can make them hard and brittle - causing the lashes to break off when you curl them. Choose your makeup remover wisely. 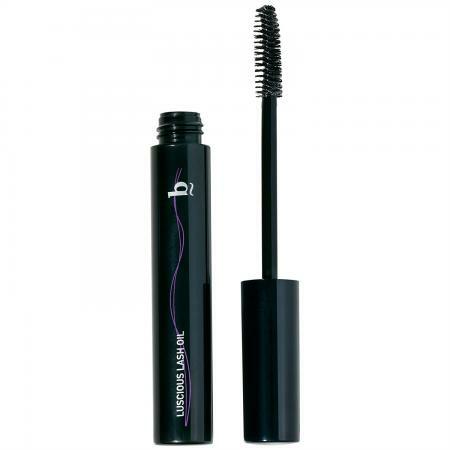 Ideally, you want a gentle and hypo-allergenic product that will remove your mascara without causing irritation. Something like the Take The Day Off Makeup Remover (about $19) from Clinique works well as it is non-irritating. 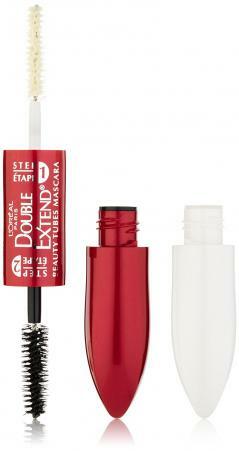 L'Oreal Double Extend Lash Extension Effect Mascara. Getting beautiful lashes doesn't require a ton of money. This double-ended mascara from drugstore brand L'Oreal costs $10. On one end there is a conditioner that primes and nourishes. The other side has a traditional mascara that instantly creates length and thickness. RevitaLash Cosmetics VLumine. On the other end of the spectrum is a luxury lash enhancing serum that adds moisture and fullness, improves strength, and conditions the lashes. At about $85 a tube, there is a reason InStyle referred to this brand as the Rolls Royce of lash products! It uses nutrient-rich botanicals like sugar beet betaine and biotin to repair and strengthen. 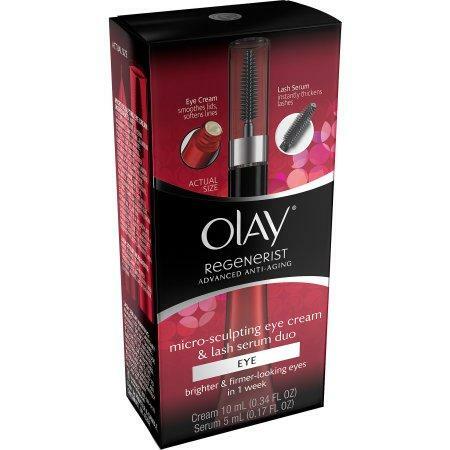 OLAY Regenerist Micro-Sculpting Eye Cream and Lash Serum Duo Kit. Another raved-about product comes from Olay - and includes both an eye cream and a lash serum (about $20 for the pair). This duo allows you to take care of the skin around the eyes as well as the lashes themselves. This set made the Total Beauty list of the Best Eyelash Products. bbrowbar Luscious Lash Oil. In addition to the growth serums and lash conditioners on the market, there are also conditioning oils designed to hydrate eyelashes. This one costs about $30 and includes ingredients like castor oil, olive oil, and apricot kernel oil (to condition), jojoba oil (for strength), bamboo (to add shine), and rosemary (for growth). These natural ingredients helped it earn a spot on a list of InStyle's best eyelash conditioners. A coat or two of mascara is quick and easy way to make your eyes pop. If you choose the next tube carefully, focus on proper removal, and incorporate lash-boosting products into your routine, you will have healthy eyelashes day in and day out.